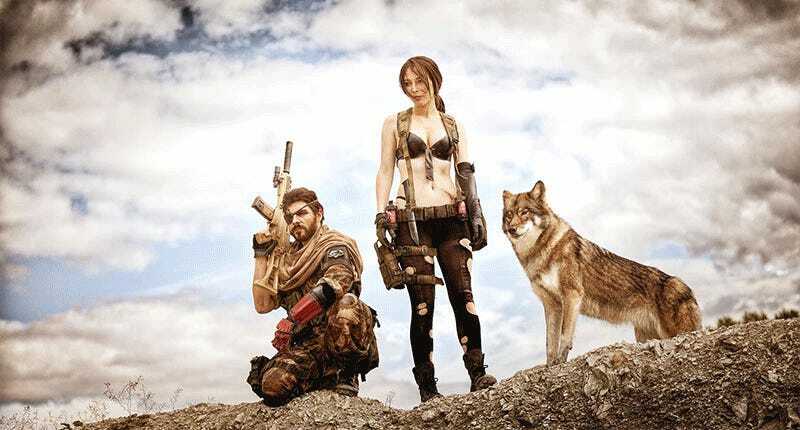 Look, I’m not trying to take anything away from Maul Cosplay and Maja Felicitas’ incredible work as Snake and Quiet respectively, but having actual live wolves in the shoot steals the show. We never actually find out what breed of hound the game’s D-Dog is, but when grown up he looks pretty wolfish, so these grey wolves from Filmwölfe Lobine are as close as the real world is going to get. And just like that, I want a pet wolf.